AOA is proud to carry Integrity from Marvin® replacement windows. Integrity from Marvin® replacement windows are made from Marvin’s exclusive Ultrex® fiberglass material. 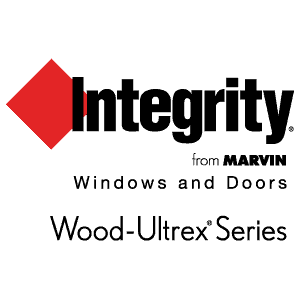 AOA is proud to carry Integrity from Marvin® windows. Integrity from Marvin® windows are made from Marvin’s exclusive Ultrex® fiberglass material. This amazing fiberglass material is so durable and strong that it promises decades of beauty and durability. Integrity windows come in every shape and size. From double-hung, single-hung, or casement to a bay, bow, or specialty windows, Integrity has whatever style you’re looking for. They are also designed to perform in the face of the toughest weather elements. The Ultrex pultruded fiberglass remains stable in extreme temperatures like we have here in Michigan. In fact, fiberglass windows have a 38% longer* useful life expectancy than vinyl. Integrity from Marvin windows with Ultrex® material composition, energy efficiency has been built into Integrity windows from the first moment. Marvin’s Ultrex® fiberglass is 500x less thermally conductive than aluminum and insulates your home like the finest wood. Marvin’s standard Low-E glazings maximize thermal efficiency of the glass, which is crucial here in Michigan. 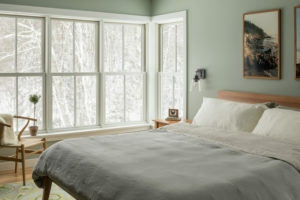 We need windows that reflect heat back outside in the summer and keep heat reflected back inside in the winter. In fact, Marvin windows standard energy ratings could reduce your heating and cooling bills by up to 30%. Available in the same beautiful cladding and finishing options as Integrity Windows, Integrity Patio doors have the ultimate performance you’d expect from Ultrex Fiberglass, and come available in real-wood interiors. There’s no need to sacrifice beauty for function with Integrity wood-ultrex, or all-ultrex style patio doors. 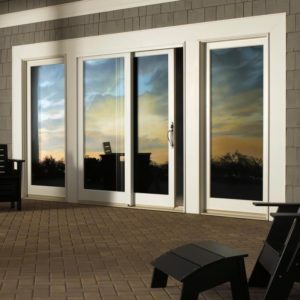 Learn more about fiberglass windows & patio doors offered by Integrity. New Construction? Build With Integrity. We know that choosing to build a new home comes with a lot of tough choices. 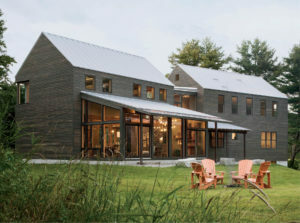 At the AOA Design Center, we want to help you make perfect window and door choices for your dream home. Ultrex Fiberglass is known for being as strong as steel and 8x stronger than vinyl, making it quite possibly one of the most durable building materials available. Made with Ultrex fiberglass, and available in every shape and size you could want, Integrity is the clear window choice for your new home.